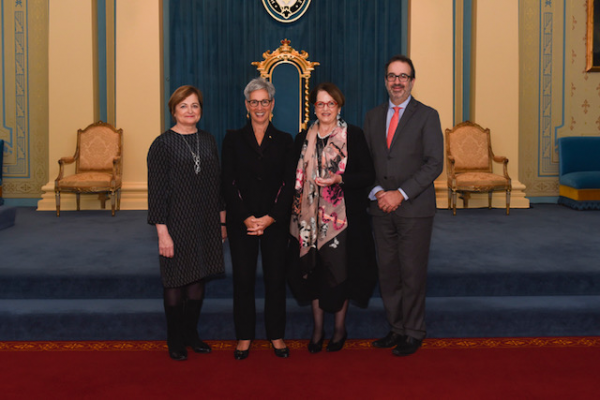 The governor of Victoria, Linda Dessau AC, presented the Bio Melbourne Network award at a ceremony at Government House in Melbourne. Dr Lavelle has been on the board of Medicines Australia since January 2017 and chair since August last year. Dr Lavelle, who served as the CEO of AusBiotech for over 12 years, was recognised with the Women in Leadership Award 2019 - impact for industry. According to the citation, during her tenure as CEO of AusBiotech, Dr Lavelle championed policy changes to support the growth of innovative companies. "As CEO and in board leadership positions, she has always been incredibly generous in mentoring, sponsoring and advising women in STEM," it said. "An inspiring leader and advocate for the biotechnology industry in Australia, Anna has forged a global pathway for Australia’s innovators to contribute to health solutions for patients and is an outstanding champion for the local biotechnology industry." Associate Professor Clara Gaff was recognised with the Most Valuable Women in Leadership Award 2019 - making it happen. Dr Evelyn Chan was awarded the Emerging Women in Leadership Award 2019 - a mover and shaker. This award recognises a rising star with limited experience but high potential for future success.